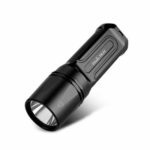 This KLARUS AR10 Rechargeable LED Flashlight with unique design and ease of use is a best choice for auto repairs, hiking, climbing and other outdoor activities. Adjustable head suitable for a variety of applications, with a beam angle of up to 90 degrees according to requirements. 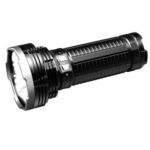 Max output 1080 lumens, max runtime 220 hours. Smart temperature control system protects the LEDs and internal components to ensure safety and stability. Unique adjustable head suitable for a variety of applications, with a beam angle of up to 90 degrees according to requirements. 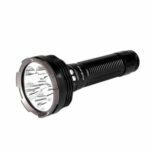 To provide &apos;hands-free&apos; illumination, affix it to a metal surface using the magnetic interface at the bottom of the flashlight or use the clip to secure the AR10. Then adjust the head to obtain the required beam angle. Recharge rapidly and conveniently using any USB port. 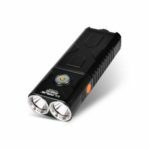 Max output 1080 lumens, max runtime 220 hours. Side switch incorporates a specially designed lock function to prevent accidental illumination. 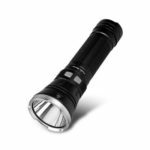 This precludes power drainage during storage or travelling and prevents eye damage should children play with the flashlight. Smart temperature control system protects the LEDs and internal components to ensure safety and stability. Battery capacity indicator light displays remaining charge, enabling you to control your lighting time by choosing the mode according to the battery capacity. 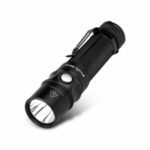 Reverse-battery protection prevents damage to both flashlight and battery. Large smooth tail interface, able to stand upright for use as a candle. Aircraft grade aluminum , Military III hard anodic oxidation, wear resistant, portable and strong. Tempered glass lens with AR film plating for durability and scratch resistance.